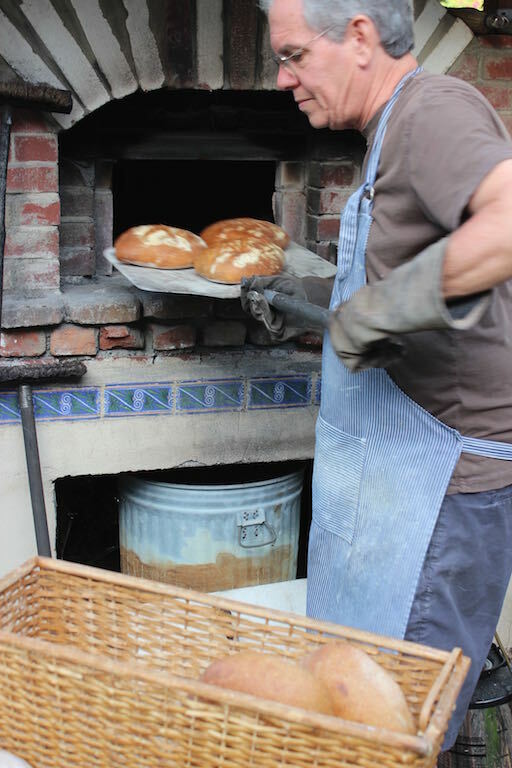 At 3am on Saturday mornings while the rest of Los Angeles is sleeping in, home baker Mark Stambler is in his back yard stoking the fire in a brick oven he built with his own two hands. The oven needs 5 hours to stabilize at 550 degrees – the perfect temperature for coaxing Pagnol Boulanger loaves to spring to life and develop a golden, chewy crust. 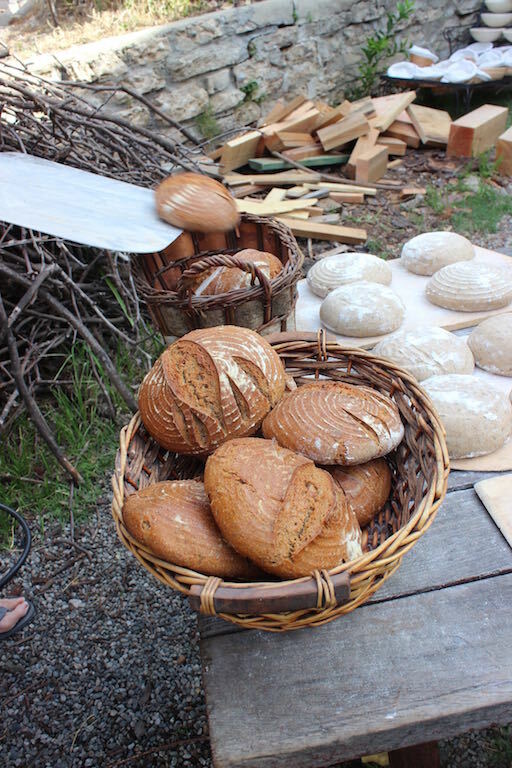 In preparation for baking day, Mark spends days preparing the dough he makes with organic, whole grain flour that he mills himself on a stone mill at home. Commercial yeast isn’t part of the equation. The yeast in these loaves is completely natural, and it produces a starter that Mark has been nurturing for years. Mark strictly adheres to rustic French recipes and only uses distilled water and sea salt in addition to the grain and yeast in his bread. 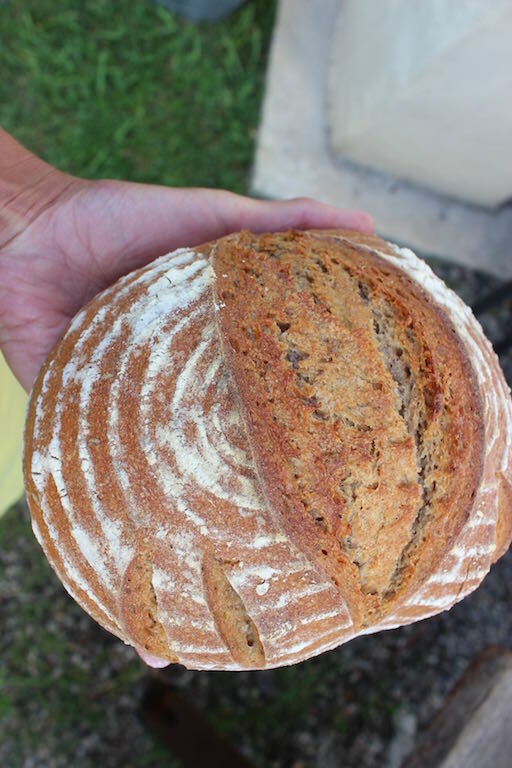 French settlers brought the recipe for miche pointe-a-calliere when they arrived in Quebec in the 17th Century, and it has traditionally been baked in huge rounds. Bon Appetite recently named miche, the, “it” loaf of the year, and Mark’s version is shaped as mini-boules. 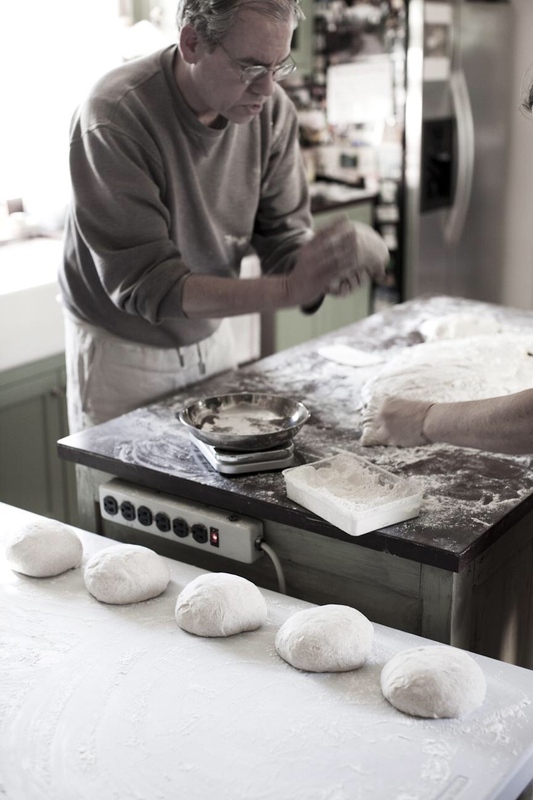 Sourdough rye and pain au levain, Mark’s other signature loaves, are both baked as batards. Mark has kindly reserved Out of the Box Collective 20 loaves per week. To reserve your loaf, make sure to sign up for a recurring order, to avoid disappointment.